I absolutely love the latest children wallpapers by Scion available to view now at the Perfect Headboards and Aspire Design studio. 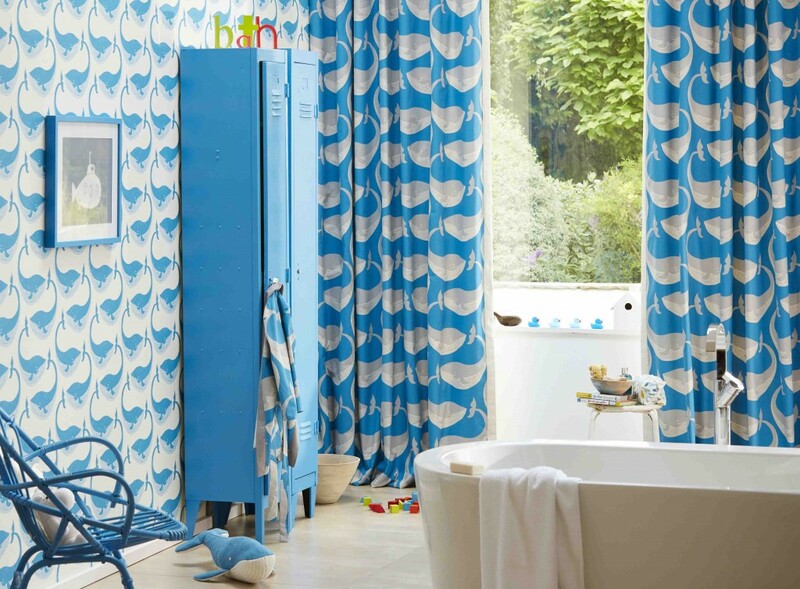 The ‘Guess who?’ wallpaper and fabric collection have something for everyone. Plus the good news is that their printed fabrics are also suitable for upholstery and I think they would make the cutest headboards for your little ones. The collections are whimsical, lighthearted and packed with fun. From funny motifs, to funky florals and playful patterns there is something to suit every taste. Here are my Top Favourite Wallpapers from this super fun collection. 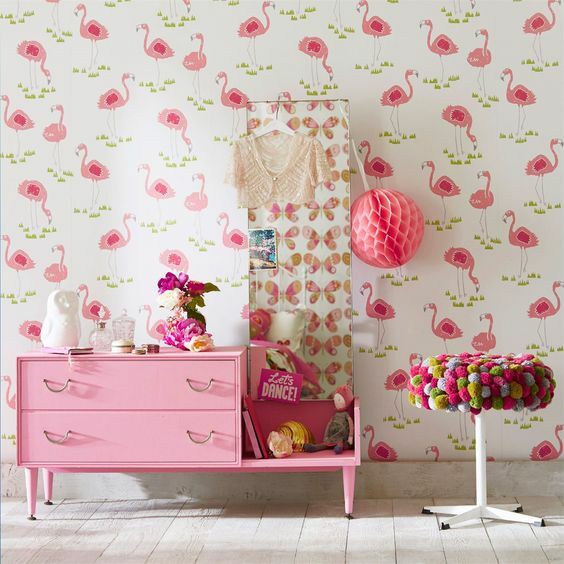 Felicity Flamingo is guaranteed to add fun and style to any girls bedroom. Available in two colour ways raspberry/pistachio as pictured below and blancmange/chalk. 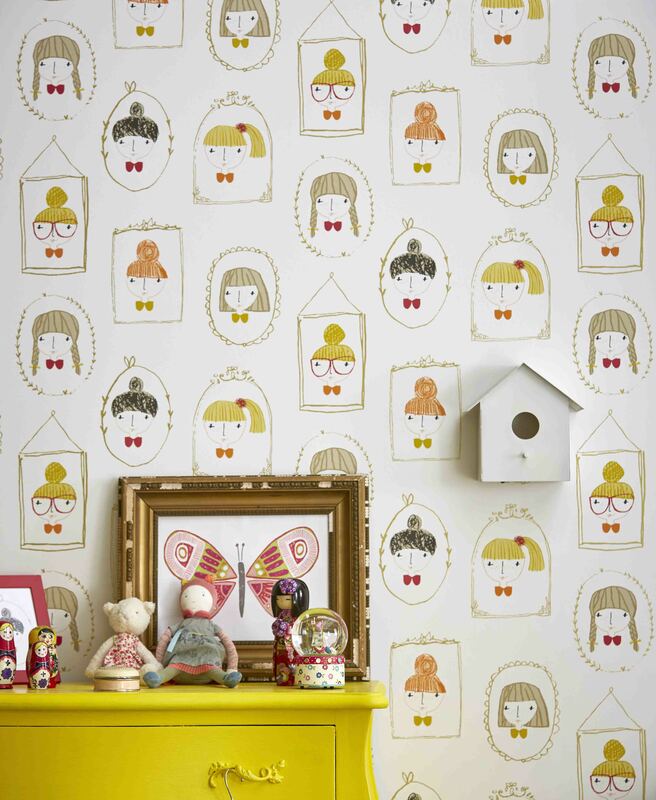 Including all the latest à la mode hairstyles, the Hello Dolly wallpaper is perfect for any young fashionistas. 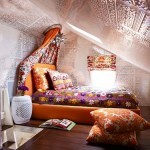 It would look super chic in a bedroom or dressing room. 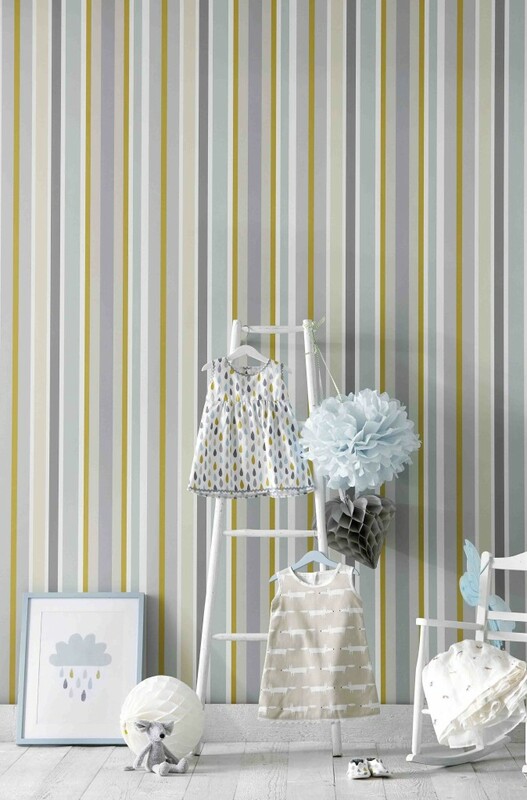 A deckchair inspired stripe wallpaper in a colour palette influenced by seaside fun, perfect for boys and girls alike! This is available in five different colour ways from soft to dramatic. 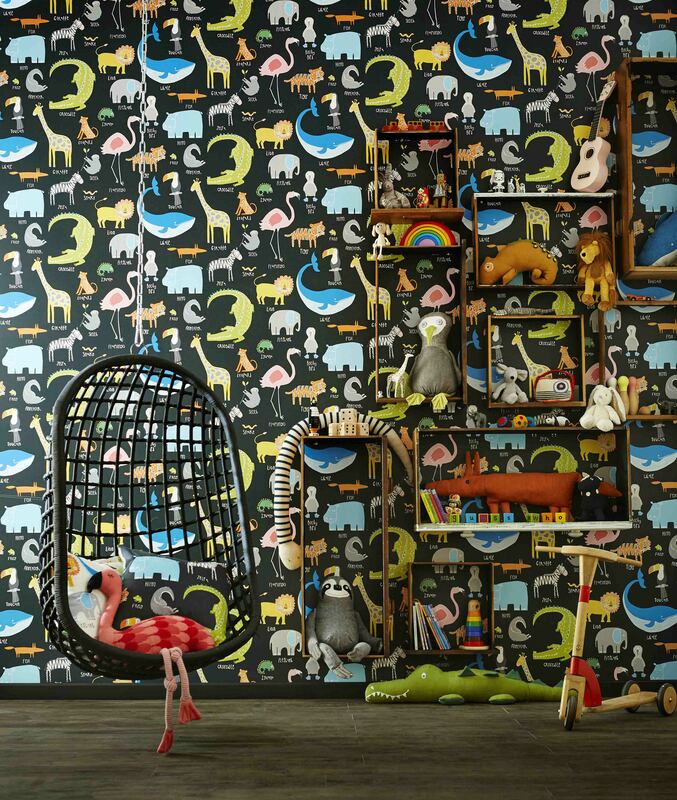 If your child loves animals and visiting the zoo then this wallpaper is perfect for them. An abundance of animated labelled zoo animals, the animal magic fabric is loved by girls and boys alike and is available in two colour ways. With the success of Scions Mr. Fox wallpaper and fabric, Scion now introduce Mr Foxs fantastic little brother: the Little Fox wallpaper is a small-scale version of the show-stopping original wallpaper. 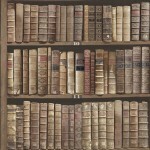 It has a small-scale version of the original show-stopping wallpaper. Available in two colour ways:- Ginger and Snow. With such an amazing collection, the only dilema you’ll have is deciding which wallpaper to choose! For more information on any of the wallpapers or fabrics shown in the pictures above please contact me at [email protected] or phone 0863999926.